What Did The Frog Say To The Skyscraper? He said, "See you at the Family Clothesline Fine Art Show and Sale!" If you stop by here regularly, you know from a previous post "Works in Progress" that we are stocking inventory for an art extravaganza of original work made by the grand kids to sell at ridiculously high prices to immediate family members! Sure, the fine print says "suggested retail only, please make an offer," but usually grandparents are so excited at the prospect of acquiring an original by "little precious" that they don't bother to read that far down! And sometimes grandpas show up without their bifocals, so that works in our favor too! The "adult children" - mommy, daddy, aunties and uncles - are a bit more astute. They usually laugh at the $25 price tags and hand the kids a one dollar bill. That's okay too, because it's all in fun! Most quality museums have gift shops for the convenience of their patrons so we are having one too! But unlike those purveyors of logo stamped imported plastic, our goodies are all going to be hand made by the little proprietors. Obviously we have lots of work to do, for amply stocked shelves = amply stocked wallets! Nick, at left, and Sae were given a "blob" of the clay and told to push it on top of their pencils. Then they were to sculpt the blob into whatever they wanted to make. Nick chose a skyscraper and Sae chose a frog. Each of the boys made five of these. I tried to encourage making something else too, but they weren't buying it. Therefore, frogs and skyscrapers it is! We are at "grandma's fun house" after all, not penitentiary art therapy! Here are the boys laughing at the "joke" grandma just made while showing how to start this project! And what about Brielle? Well, she had other plans for her blob! Never mind the pencils! She pushed and pulled the clay into a free form sculpture that we decided to name "Little Pink Thing" - which is another of her affectionate nicknames! However, I am going to convince Bree to make a second one just like the first. We don't want to initiate family discord if an argument breaks out between mommy and Nana over who gets to buy this one. Therefore, "LPT #1" and "LPT #2" will both be available, but strictly on a first come-first served basis. And since there will be only two of these unique items for sale, the law of supply and demand regulates the price, so.....buyer beware! And come early! Our skyscrapers and frogs all lined up to dry out. Today we were ready to paint and decorate our frogs, skyscrapers and "Little Pink Things"! Once the basic shapes were painted, detailing needed to be added. Sae's frogs had spots dotted on with a darker shade of green. Most of the frogs and all of the skyscrapers were dipped in glitter for a truly fabulous effect! But we weren't done yet! Frogs need google eyes. I also offered them to Nick, thinking he'd feel badly if he couldn't use them. He didn't hesitate for one one second to laugh and tell me, "Skyscrapers don't talk!" ﻿I stood corrected! If they don't talk, well, they obviously don't "see" either - duh! I had the boys paint watered down glue on their work, then gently sprinkle glitter all over. It wasn't the mess I thought it would be, although a few of my cats are still walking around with glittering eyebrows! Painted and glittered pencils all lined up to dry. Grandma took the pencils into her secret workshop to add paper accents. Oops! Forgot the long red tongues! Frogs now have lily pads with flowers to perch upon and skyscrapers poke their majestic heads amidst a fluffy cloud cover with a concrete patch far below. Each pencil will also come with a "certificate of authenticity." Attached tags will show a mini-picture of the artist working on each piece. I will get to those soon! Brielle takes her artwork very seriously! Here she is, carefully painting her first-in-a-series-of-two "Little Pink Things!" And here's "Little Pink Thing #1" all glittered up and ready for market! Besides these pencils, our gift shop will stock notepads purchased with plain white covers and painted by the kids. We will sell hand stamped potholders too. In addition, on the day before our event, the kids will join me to make cookies and popcorn. That's so we'll have something for our hungry daddies, too! I am also working on designing "event posters" with the kids' photos on each one. Those will be auctioned to our art patrons after everything else is sold out! For the time being we are a busy bunch of artists over here, although the hardest part will probably be negotiating a convenient date and time for everyone attending our first annual Family Clothesline Fine Art Show, Sale and Auction! But I am working on that, too! "GRANDMA! OUR PUMPKINS ARE GROWING!" The first thing the boys do when they arrive is lift the greenhouse cover and check on progress. They have a real interest in their plants and that makes me happy. I wish I could offer them more sunny growing space and a variety of things to nurture. I am beginning to regret my anti-gardening rant from the previous post and I'd like to take that back! I envy grandmothers who have the ideal location for a vegetable patch and the skill and patience to teach this wholesome pursuit to the next generation. I wish I could grow on-site organic food with my grand kids, take it immediately into the kitchen and work side by side with them to prepare healthy recipes. I think they would really enjoy it....and of course, so would their grandma! I have grown accustomed to the short attention spans of kids under four years old, so I didn't expect much of a commitment to clearing space for the new seedlings. But probably because the task involved dirt and digging in it, all three kids settled in with their new gardening tool sets and got busy. They kept at it for at least twenty minutes until we had the ideal spot for all ten peat pots. Then they took turns generously watering them with a hose. By the time each little gardener had his/her chance, the plants were ready to swim away. From now on we'll use a sprinkling can! Maybe we should grow rice instead of pumpkins! We have a couple of things going on over here that won't yield immediate satisfaction, but we're still having fun with them. Later on, hopefully, we'll be glad we invested in these projects! I'm really not much of a gardener. Just too hard to have to wait for stuff to grow. And then there's all of that maintenance...yuck! But I sure do respect people who enjoy the hobby and are rewarded with beautiful flower beds and bountiful gardens. And every year in mid-October I particularly envy those who had the foresight to plan ahead so they travel no farther than their own backyards to pick handsome pumpkins for their Halloween porches! No laborious plowing through chest-high bins at the produce stand for those happy harvesters! The search for a perfectly symmetrical spotless beauty with an intact, graceful stem is drudgery reserved for non-planters like me. But not this year! Nope! This year we are growing pumpkins in grandma's backyard! And we are going to nurture them step by step until it's time for the grand kids to shop right here! We won't even care if some of them look goofy and lopsided because they will be our pumpkins! Our babies! The ones we planted, watered, watched, named, and harvested in the same way that people who love to garden do! Grandma's instructions: plant 2 seeds in each pot. Pretty sure some ended up with 10 seeds, (ahem! see above, right!) and others with none! Oh well...we'll sort all that out later! I have a few disadvantages here. Our lot is mostly shade. There is only a small area of sun in the back that edges the woods. Grandpa says pumpkins won't grow back there. Hmmm...is he just being grumpy because I brought him home some wood sticks and a set of directions for a mini greenhouse that our pumpkins will need to get a good start in life? Or is he telling the truth? I am only sure of one thing. We WILL have pumpkins back there! The seed packet promises them! It says they will weigh 300 pounds! Wow! Really? So, I am planning on that....even if next fall I have to rent a semi truck and drive to the fruited plains of Illinois -which I hear is the pumpkin growing capital of the world - and haul home three of their Grand Champions. I will then attach them to our stems, artfully wrapping with green floral tape like Martha would, and then call the children over for a harvesting party! Yep! This year it's going to be different! We are going to harvest our own GIANT jack-o-lanterns no matter how much effort it takes! My other problem is wildlife. Deer, mostly. I hear they eat pumpkins. But I am not going to make an issue out of that. We are all animal lovers here. The deer, raccoons, birds, and rabbits have to eat too. I will pursue some natural repellent, (red pepper?) and see what happens. We'll leave some extra 300 pounders behind for them though, after we've made off with the ones we like best! And if the wildlife outsmarts me? Well, then, "Plan "B" (the road trip to Illinois!) will be back on the table! Our pumpkins currently live in this contraption known as a "Giant-Pumpkin-Grower". When the interior is filled with foliage, the tent will be removed. Here are a few related books you might enjoy. See if your library can get them for you. Sharon Lovejoy is a grandmother and an accomplished gardener, specializing in teaching children how to grow things. She is the author of several books, two of them are favorites of mine - "Toad Cottages & Shooting Stars" and "Roots, Shoots, Buckets & Boots." They are gently and charmingly illustrated by the author with her own watercolor pictures. If you seek creative ideas for gardening and enjoying backyard nature with your children or grandchildren you will absolutely love these books! I found the instructions for our "giant-pumpkin-grower" greenhouse in a delightful book by Tom Fox called "Snowball Launchers, Giant-Pumpkin Growers and Other Cool Contraptions." This book includes 20 projects with a "science fair" feeling that are perfect for making with an older grandchild. Just a few get pretty complicated, but most can be made with ordinary things everybody has at home. The book is illustrated with simple ink line drawings, yet I cannot wait to make the pet feeder, stethoscope, and more with my grandsons when they get older because easy-to-follow instructions for these timeless and unique projects are all there.....See if your library can get you this one, too! We are beginning to stock inventory for a Clothesline Fine Art Show and Sale - a classy one! Not a "chips 'n beer" type of affair. No way! We will be serving fake champagne in flutes and offering a fetching array of gourmet hors devours. The customers - no wait! let's call them what they really are, "art patrons" will be handed flyers - err, make that "catalogues" when they arrive to strains of a Mozart sonata. These upscale features will create ambiance for the purpose of opening wallets as wide as possible! Catalogues will include photographs of the artists, their credentials, and dates of birth, plus other interesting facts which I have not thought of yet! Since this is all I know so far, this is all I can say. But we are working on it! And when show time (oops! mean "gala opening premiere!") arrives, you will be able to read about it here! Here's Nick, showing his very artsy paper chain decoration. This signed piece will be for sale at the show, probably in the $25 range! Nick and Sae work diligently at creating inventory for the Clothesline Fine Art Show and Sale. The boys are stamping out designs with basic shapes. When these pieces appear in the gallery, they will have names like "Geometric Collision: Purple." You know, to make them sound expensive! Bri﻿elle is custom-making an abstract illustration to sell to her Nana. She wasn't too happy just being a "customer" at the boys' puppet show. Bree has her own little pink kitty wallet now and wants to fill it with money too! This is why having her own paternal side of the family to invite to this event should pay off handsomely for her, especially with attentive, indulgent, and gainfully employed Nana at the top of her guest list! She also wants you to know that the title of this piece will not be "Green Crayon Scribbles by Bree." How does "Reflections on a Forest Horizon" sound instead? Sometimes it's just more "marketing" than talent that moves inventory, although here we obviously have both! Here's Sae, proudly displaying a handsome original tempera abstract. I think this one will be framed with patterned scrapbook paper. Once complete, it should really knock your eyes out, so we will name it "Primary Knock Out Punch." Titles like this will appeal to the guys who otherwise might think the entire event is far too "girly" for their taste! Okay! Gotta go! Have to check the pumpkin patch for signs of germination. Its been at least 20 minutes since I was out there last! Our contributing artists are busy too....all 4 of them! May 13, 2012: "(Grand) Mother's Day"
Like most of you, I knew two grandmothers. My paternal one, Mary, was a tiny, stern-faced, no-nonsense matriarch who ruled her super-clean, "absolutely-no-pets-allowed-EVER!" kingdom with an unsmiling hand. She lived only four blocks away from us, but our obligatory ventures to her house were as infrequent as the count of major holidays on the calendar. On those occasions, my sisters and I sat rigidly on Mary's prim Victorian settee, afraid to move or even blink lest we "offend" someone. Mary's skill at nurturing was applied solely to her backyard garden, a virtual paradise of perfectly groomed roses, flamboyant irises and sturdy flowering bulbs. When we were invited to trail behind her for a "showing," our little feet dared not stray off the meticulously laid stone path geometrically slicing the garden into military precise rectangles. Whenever we referred to Mary we were careful to add her last name to the term "grandma." Amelia was my maternal grandmother but I doubt we would have recognized that name during the years we grew up "across the alley" from the tidy little bungalow she shared with grandpa. 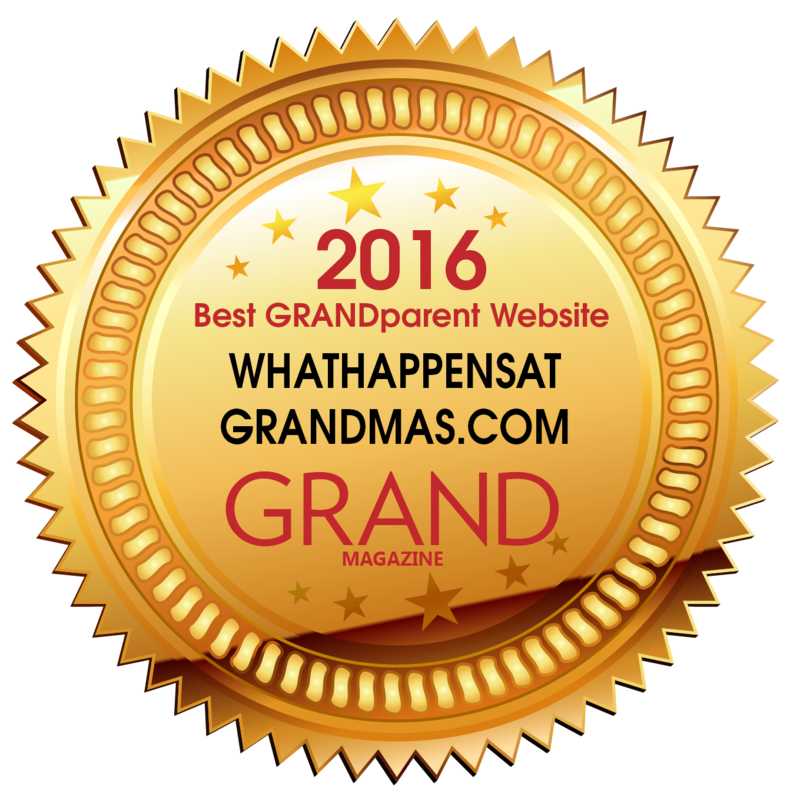 It is significant to me today that none of us ever felt the need to clarify which grandmother we meant when we said simply, "grandma." No disrespect was intended toward Mary, but she, quite frankly, never merited that affectionate one-word title. "Across the alley" was in the city of course, but once we unlatched the climbing wild rose covered gate we were transported into a bountiful patch of "country" that supplied every single one of our childhood needs. It was perfectly legal then, so a cozy little lean-to chicken coop nestled itself up to the side of the garage. Birds hunted and pecked inside an attached enclosure during summer months, and my sisters and I would step over the barrier to select one for ourselves. Each hen had a name, a place on our laps, and gentle pettings while we studied those curious "chicken eyes" that never revealed whether or not they were actually looking at us! In winter months we bent over deeply to creep inside their toasty warm sanctuary and harvest an egg or two from nesting boxes that lined the wall. Grandma's yard also had a garden. Unlike Mary's "touch-me-not" acre of blossoming finery, this one was abundant in raspberries, gooseberries (both sweet and sour), strawberries, and rhubarb. Onions and tomatoes thrived there too, although I best remember the fruit. Two apple trees, as well as a pear and a plum, shaded and sheltered everything this magical backyard held. My sisters and I "crossed the alley" whenever we darn well pleased to pick and eat whatever we wanted. Often we enjoyed our selections while moving back and forth gently on grandma's two-seat glider, settled and protected beneath the larger of the two apple trees. If we wanted to jump rope or draw with chalk, we used an unexpected patch of smooth concrete beneath the pear tree, the remnant of a small tool shed that existed long ago. The backyard garage held rakes and shovels, but never housed a single vehicle since grandma and grandpa never owned one. Instead, the building served as a workshop for grandpa. From his steady hands, gnarled from years of furniture factory labor, were born quaint little bird houses and feeders. After he observed one of our "hen-petting" sessions, three little wooden benches appeared one day without comment inside the pen to accommodate us. Along one side of the house a happy row of hosta plants hugged the foundation. In front of that was a push-mower-wide swath of lawn defined by a solid wall of thick hedging that discouraged viewing from neighbors. Dolls in tow, the three of us clustered there often to share viewpoints and secrets with content that only sisters need to know. Beneath the kitchen window at the back of the house was a shaded, sloping rock garden. "Hens and chicks" plants peeped between the rocks, carpeting a shrine for a concrete statue of the Blessed Virgin Mary. At her feet we laid tulips and lilacs randomly plucked from carefully tended beds, and grandma never once complained about what we did. It may be hard to believe but the inside of the house was even better! Loving, welcoming warmth generated by grandma, and compounded by kind, gentle, doting grandpa filled this special place to bursting. It caressed us whenever we came bounding through the back door, never once knocking and always without an invitation. To this grandma, those formalities would have been an insult! At grandma's kitchen table, with her curly little dog and a handful of cats always at my feet, I helped make strawberry rhubarb pies from the harvest of her garden. I sat there in the sun at breakfast too, eating potato pancakes while hand feeding raspberries to injured sparrows who were brought inside to heal. Their temporary infirmary was a large handsome cage that grandpa made for them in his garage workshop. A formal dining room held years of Christmas Eve, Easter Sunday, and Thanksgiving Day memories, and an enchanted fairy tale of an infrequently used upstairs offered its own trunk of "old fashioned" clothes. Those had belonged to mother, and she left them behind when when she married dad and moved "across the alley" to begin her own family. It was grandma who taught me how to sew. Mother did try, of course, but it was different with grandma. She took her time, allowing me to sit on her lap and gently pump the treadle of her antique machine. Under her tutelage I turned out awkward pincushions and crookedly stitched squares of brightly colored cotton fabric that became pet toys once they were stuffed with sprigs of the catnip growing fresh and wild in that wonderland of a backyard. One day, grandma helped me make a dress. Really! A dress! I vividly recall the sleeveless three-paneled affair, cut from lengths of one of her own flowered garments. My dress closed itself down the front with huge buttons that I was guided to sew on by myself. They wobbled perilously when pushed inside the perfect buttonholes that grandma demonstrated for me. I remember racing home "across the alley" to show off what I had made. I think it was then that I decided any woman with a needle, a length of recycled fabric and a patient, attentive grandma could pretty much make and do anything she wanted to in the whole world! I had occasion to revisit grandma's little kingdom several years ago. Long gone, of course, were the chicken coop, the gardens and the swing we enjoyed so much. I sat on the stump of the once grand apple tree and slowly shook my head, reflecting, "But it's so small here...so very, very, very small!" How was she able to do it? How did she make this plain, ordinary space feel like horizonless rolling acres of carefree joy, teeming with plant and animal life when it was really nothing more than a modestly sized residential city plat? Today is Mother's Day. To be precise, it is also "Grandmother's Day." Some of these ladies, who were at one time "only" mothers, do not bring magic into our lives. That is just the way they are. The recipes they were made from did not call for an "ounce of patience" or "a teaspoon of creativity." Their job was simply to bring us one of our parents. And that is exactly what they did. Other grandmothers are different. The recipes that made them demanded cups and cups of all kinds of extra ingredients, "mix-ins" and fancy toppings. These grandmothers emerged from toasty warm ovens as bearers of magic to sprinkle upon ordinary-sized, plainly-shaped city plats commonly known as "life." Thank you, Mary, and thank you, Amelia. Both of you did your job and you did it well....according to the recipe that each one of you was created from! 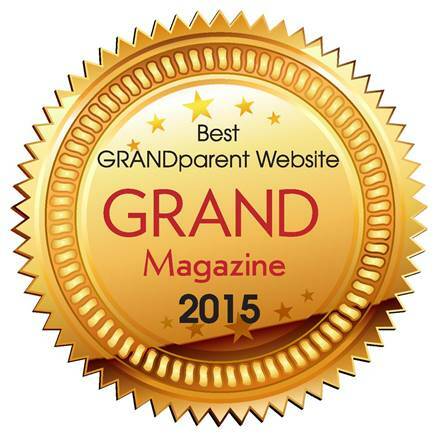 Happy "Grandmother's Day!" I love you both! I am not much of a food designer, but a recent experience gave me an idea for something pretty cute for Mother's Day brunch! I will make these with my grand kids when they are a little older. In the process they will be introduced to the crafty skill of weaving! You may recall the photo of a charming carrot-shaped bread cone stuffed with egg salad from my Bunny Village Workshop post last month. This original Hungry Happenings design called for a tube of Pillsbury Crescent Recipe Creations Seamless Dough. Expecting to flub my first attempt, I bought two of them. After all, how could something so darn cute possibly be simple to make, especially with me behind the rolling pin?! Well, surprise, surprise! My perfectly shaped, absolutely gorgeous orange carrots slipped out of the oven nice, fat, and happy at the exact directed baking moment. They all looked up at me and said in unison, "We hope you learned your lesson about mistrusting Beth's recipes! You didn't really need that extra tube of dough!" But I did have it! And somehow, I decided, I was going to make it into something nice! In the 1970s, when I began my career as a high school art teacher, there was a craft revolution stirring about in the country. Personally, I think it was inspired by the hippie culture. Lots of macramé, tie-dye, batik, folk art......many fun things to try and pass on to my students. Crafting with bread dough was also popular. I loved that art! My favorite project was a woven bread dough basket baked over an inverted loaf pan. Once cooled, it was shellacked, lined with a calico napkin and used to serve rolls at the table. Women loved them, so if you were adept, you could present someone with a much welcomed gift at very little cost. Could I somehow combine the extra tube of crescent dough and this fond memory into - not a basket, oh gosh, no way! - but an edible little dessert trivet upon which to serve a ladylike portion of fruit nestled in a bed of whipped topping? It was worth a try! My strawberry borrowed a few tiny basil leaves just because they are prettier, but then I discovered that their taste is a perfect compliment to everything else you see here. Very simple, but very, very good! Baking sheet and......an oven to bake in! Roll the dough out evenly between the chopsticks to assure that it is about 1/4" thick. Use a light amount of flour if needed. Using a chopstick as a guide, slice the dough horizontally into strips about 1/4" wide - the approximate width of the chopstick. Place the parchment paper on the baking sheet and use the strips to weave a trivet about 3.5" square. Leave about 1/2" between each strip. It's okay if some strips are wider than others. Some stretch out as you weave or during transport to the baking sheet. This makes the finished item more interesting. Also, when weaving with kids, cut the long strips in half for easier handling. Trim the trivet to a 3.5" square and pop it into a 400 degree oven for about 6 minutes. And here we are! A perfect little platform awaiting a perfect little topping! In the future I will invite my grandchildren over to weave these. They will take them home and hide them in the freezer until Mother's Day morning. Daddy will slice a pear and provide the whipped cream and strawberries so the kids can assemble them to accompany mom's well deserved breakfast in bed. 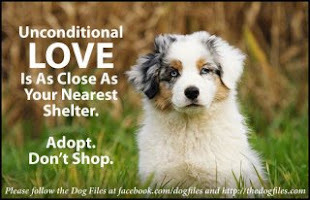 We will make enough of them for the entire family because I think they will be loved by everyone! Well, look at that! Now I am a food blogger! Oh, just kidding! But seriously, if you do want to see somebody who really knows what she's doing, take a trip to Beth's kitchen at Hungry Happenings. For an extra cute Mother's Day sweet snack that older grand kids can make with you, click on Pink Fuzzy Slipper Cookies - those are delightfully special! And finally, did those carrot shaped bread cones really talk to me when they popped out of the oven? I'm not sure....have you ever heard that saying, "I love to cook with wine! Sometimes I even put it in the food!" ? As you know, I am a really big fan of preserving the size of growing little hands of my grandchildren in gifts presented to their mommies on special occasions. Mother's Day calls for something pretty. This is our gift for Sunday. Each of the children printed a green hand on ivory paper. Using a 1" paper punch, I cut out and glued pink flowers with yellow paper punch dots inside. Hand snipped pastel green leaves completed the bouquet. I typed out "Flowers for you, mommy" on Word using the AR CENA font in size 22. I traced the phrase over a light box with an 02 fine point marker, although this could also be done freehand if you are very confident. Don't forget the child's name and the date before you mat and frame the gift. This Sunday, the entire family is taking me out to dinner. We'll return to Christy's house for dessert. And that's when I'll give the wrapped hand print bouquets to the grand kids to present to their moms! Seen any MONSTERS lately? WE HAVE! ﻿All of a sudden, the twins are into monsters. Not a clue where that fascination came from. When they come over, the first thing they do is ask for flashlights. They close off the panel doors to the foyer and living room and shut the blinds, making it fairly dark in that part of the house. Should I be concerned? I ask them what they are doing in there. They say they are looking for monsters and politely tell me that it's okay for me to leave! Hmmm....it's probably safe....after all, they aren't going to actually find any monsters in my living room, are they? Well, not unless you count an occasional "monster" of a hairball "urped up" by one of my six cats. Even I've gone hunting for those before! No, the boys aren't going to come to any harm searching for monsters in my living room. They just don't exist! But before I can finish that thought, another one pops right up in my head. What kind of a grandma allows her little guys to search in vain behind couches and bookcases for something she knows darn well they will never find? Shame on that kind of grandma! Off with a bang goes the light bulb in my head. I am their grandma for heavens sake! 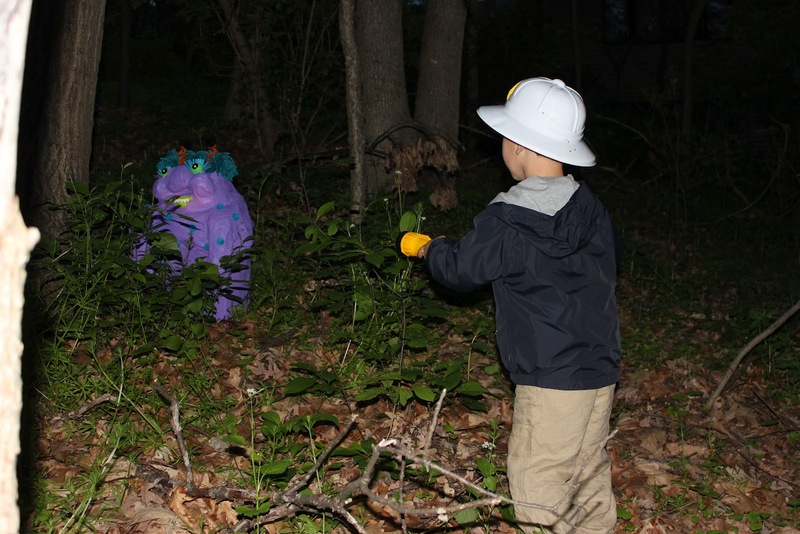 If the boys want to find monsters in the dark with flashlights, by golly, it's my job to make sure it happens! How hard can that be? We already have the hunters, the darkness, and the flashlights - all we need now is....monsters! I'm glad that I am fairly "artsy." I know that with papier mache you can pretty much make anything you need! Way back, the French used to live on furniture they made with it. Houses too, I am pretty sure. Cardboard boxes, newspaper, tape, flour, paint and all kinds of cute crafty junk - who doesn't have all that in their household inventory? I immediately get to work. I'll make three monsters! Hmmm, no....maybe five! Or why not six? Oh, all right! SEVEN!...but no more! And I'll be generous and let the twins paint and decorate two of them, then it won't be so obvious how grandma busted in and did all the fun stuff herself! And then I'll hide them! In the woods! 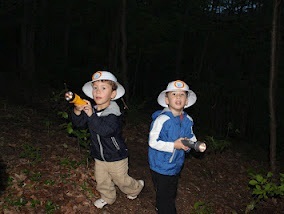 The boys can search for them when it's just starting to get dark, toting the flashlights they love. Oooo, spooky! Better invite mommy and daddy, too. Just in case. You know, (wink, wink!) if we end up needing some help carrying the monsters back home! Here's the plan. The boys paint their monsters on Thursday. On Friday evening, about 7 PM, the family joins us for dinner...a "monster" of a meal! Once we're stuffed, the mini-monsters make their reappearance along with bowls of crafty things for decorating them. Pom poms, yarn, stickable foam shapes, paper scraps...that kind of stuff! Mommy and daddy team up to help the boys while grandpa and grandma take tons of pictures. 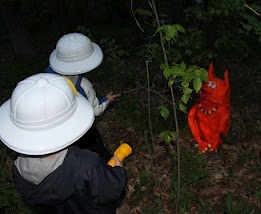 When it's just nearly dark, oh maybe 8:30-ish, we grab our flashlights, plop on our "Monster Patrol" helmets, pick up our "Monster Hunter Check-off Cards" and venture out, looking for those darn critters who like to hide along our favorite trail in the woods. Very important to be prepared because this time....ohhhh yes! Those monsters are REALLY gonna be out there! Properly designed helmets are required for several reasons. First of all, they identify you as an authentic member of the Monster Patrol. Secondly, they protect you from random items that mischievous monsters may decide to toss at you for fun, just to get your attention! Yet another reason is that if you are a three year old little boy out on your first monster hunt, you are going to look pretty darn cute wearing one of these! you need to know what you're lookin' for! These take-along cards clipped to your belt give you an idea of what's hidin' in them woods! However, when corrective lenses are required, expect them to be a custom order. Here is Pickle, sporting his new triple-view gear! Thursday arrived at last! The boys chose their colors and got right to work. They learned how to keep their brushes to themselves and I learned that three year old attention spans must be respected. The boys painted for about 10 minutes until the novelty wore off. Nick returned a little later to work for another five minutes. With their permission, grandma completed the painting for everybody. I used acrylic paint for my creatures. Washable tempera was used by the twins. Finally! Friday! Let the Monster Partying begin! Egg carton eyeballs and a dripping glue effect warn predators not to mess with Sae's fearsome dude! Nick puts the finishing touches on his super-scary blue guy! By now it's nearly dark enough to go out huntin' for MONSTERS! An animated reading of Maurice Sendak's classic, "Where the Wild Things Are" has put us in the mood. It has also assured us that if we change our minds out there, we can always just come back inside to a meal that's still nice and warm! Armed with flashlights, the twins hear the rules and see the Monster Hunter Check-off Cards for the first time. Now they know exactly what lurks out there and what they must work together to find! Shhhh! Did you hear that? Look! We found Gus! And he's really not scary at all...just kinda goofy lookin'! And you probably could say the same thing about Firecracker, 'cause here he is below! There you are, Pickle! And don't say you can't see us! There's more of them out here, brother! I can just feel it! And of course we found them all...including purple Mushroom, pictured above! Grandma was quick to hand out yellow glow sticks to the winners....perfect fun for concluding moments in the now deep and very dark, dark woods! Then we went back inside, where the safety of grandma's house welcomed two little boys who bravely ventured out to "where the wild things are" and returned in triumph to tell all about it! 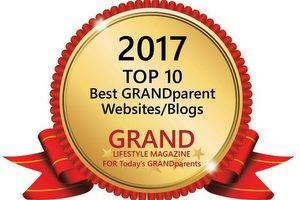 I made a new friend last week when I discovered a great "grandma blog." 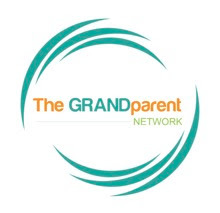 Connie, at http://www.familyhomeandlife.com/ lives a gracious philosophy. "Life should be about making memories," she states. That beautiful sentiment has not left my mind since I read it, and I think of it now. One day, these little boys will likely become married men. Will I still be here to witness that? I don't know for sure, of course, but if I am, there is one thing to be certain about. It will be hard to see them stand at the altar without reliving some of the memories we are making together right now. Maybe they, too, will have these days in mind then, giving me a momentary glance as we both remember, for one fleeting second, the evening we searched the woods in pursuit of monsters made of paper because grandma could not bear to see her little guys looking for something they would never find. If you'd like to make a monster or two, see my step by step directions here.